300 and 301. 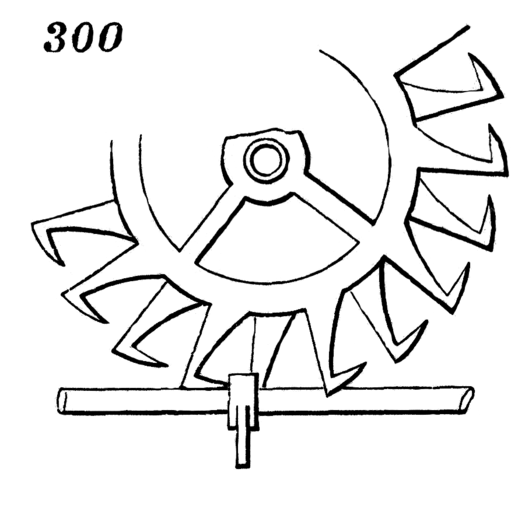 A clock or watch escapement; 300 being a front elevation, and 301 a side elevation. The pallet is acted upon by the teeth of one and the other of two escape-wheels alternately.